In the late 80s, what would eventually become Froggy 94 was actually on 94.3 FM, and was a simulcast of Oldies AM 680 WODZ. This gave way to a Beautiful Music format for a time in the early 90s, and a frequency change to 94.1. In 1992, the station flipped to Country as WOGY, and it was off to the races against well entrenched market leader WGKX “Kix 106”. For a time in the mid 90s, Froggy 94 did fairly well, even beating Kix in one or two books, but never getting past a 4 share overall. In January of 2000, the station, along with sister stations 104.5 WRVR and 680 WJCE were purchased by Entercom, and changes were in the air. By the fall of 2000, the promotions budget was reduced, and after the last major promotion, the Dixie Chicks concert at the Memphis Pyramid, it was announced (internally) that there was no budget at all slated for 2001. While there was nothing official, most of the airstaff knew something was up. Night jock ‘Dave Marsh’ headed across the street, accepting an offer he couldn’t refuse and the last full time jock, Jumpin’ Jack Flash, was installed for the night show on December first. Program Director Matt Albritton, being one of the most honest and caring PDs one could work for set out to find out the truth. Truth was, Froggy was to be killed off in January, but the airstaff wasn’t supposed to know about it. Actually, the original plan was to kill Country on Christmas Day, stunt for a few days over the holidays, and flip to the new format on January 1, 2001, but there was a small change of plans, and Country remained into the new year. By the time the holidays were over, most of the airstaff knew their fate – unbeknownst to upper management. Dispite the knowledge, nobody left. Perhaps it was that air jobs in Memphis are hard to come by, but nonetheless, the staff knew the end was coming. And on January 24, 2001 it did. The morning team of Polly Wogg and Danger Frog did their usual morning show, with a few guests – local wrestler Jerry Lawler and some others, and there wasn’t a hint of change. To the listener, it might have been an extra quiet extended music set which began at 9AM, because the morning crew which normally went into 20 in a row was jerked off the air and summoned into the GM’s office – only to be handed pink slips. Midday jock Paul Hankins, aka Hoppy Gillmore was just coming into the studio to prep for his show, only to be greeted at 9:50 by the engineers and OM, who basically said to just move out of the way. At 10:00 AM sharp, the plug was to be pulled. The last song scheduled was “My Next 30 Years” by Tim McGraw (PD Matt Albritton thought it rather appropriate), but it played just before 10am right before the recorded legal ID, and Hankins basically told the engineers “sorry guys, that’s only song number 19. We promised 20 in a row and by God we’re gonna play 20 in a row”! Looking down the log for what would have been played if the format change didn’t happen was a song by Pam Tillis – “All the Good ones are Gone”. That ended up being the final song. So, at 10:05, Pam Tillis sang the last Country song on 94.1, Hankins did a live legal ID, then started a carted sound of a ticking clock, which ran for 4 1/2 hours while the engineers removed one very old hard drive and replaced it with a new one containing the new format… and for some odd reason, the old Country format too. The new format was supposed to kick off at exactly 2:00 PM, but there were a series of hardware failures in the Maestro automation system which was in use at the time. The engineers fixed the problems, but not before one major misfire which threw the Operations Manager into a fit. At 2:30 PM, they tried to kick off the format, only the Kickoff liner cart in the computer wouldn’t fire.. and it went into a song. Nice try fellas. One quick tweak and then at exactly 2:35 PM, January 24, 2001, the New 94-1 The Buzz was born. Former Froggy 94 jock Jumpin’ Jack Flash aka Steve West along with Paul Hankins now known as Greg Peters (honestly folks, we couldn’t keep all these names straight), and a bunch of people including OM Jerry Dean and GM Curt Peterson flipped the switch and kicked off the new station. Why the format change occurred? Many reasons, but most likely because Entercom just doesn’t do country. The Froggy format was a Sinclair thing, and likely was put on the air in order to cut into WGKX’s ratings. It was all just to cover for WRVR, which played a substantial number of Country crossovers in its soft AC format. WRVR was always the cash cow and putting Country on 94.1 was a flanking move to keep those numbers which were going to KIX instead of WRVR in house. WOGY was NEVER supposed to win, just keep enough numbers from the competitors to allow WRVR to maintain high numbers. Smart thinking, only Entercom didn’t see it that way. Bottom line here is, Froggy 94 had a warmth and family atmosphere both on the air and off. The airstaff were all friends and if there was ever a statement made to how people felt about WOGY and its staff – when the new Kickoff bit aired at 2:35, while management whooped it up in the studio, there wasn’t a dry eye in the rest of the building. 94.1 received never-ending phone calls for over 3 weeks – clogged all the lines, with very irate listeners wanting their Country station back. This station had far more listeners than management thought. The Buzz was a good station for it’s first 2 or 3 years. Latter on Entercom showed it the same love it showed Froggy and started cutting the budget, piping in the morning show and going on auto pilot at night. The afternoon with Brad and I forget her name, was really good and they tried to put some life into the otherwise blanding Buzz. The also had all 80s weekends which where good and often featured songs not heard on radio these days. But, it wasn’t enough to counter FM100 and their power house line up of talent, whatever weekends and much larger reputation. The fact FM100 had about 25 years up on the Buzz, didn’t help them much either. At some point they finally pulled the plug and tried the Snap format, but since then have changed to a classic hits format WBKQ, I think, which is largely modeled after a sister station in Indianapolis. Ironically enough, CBS radio decided to cut stations not in Top 50 markets and Memphis had fallen low enough not to make the cut, so FM100 was sold to Entercom, where it is now shell of it’s once powerful glory. You said a mouthful. I’m reminded about how karma works. Kramer, who was the first PD at the Buzz was also unceremonially shown the door by the same guy who Kramer had said was his best friend from his days in Vegas – Jerry Dean. I’ve no idea if Dean is still in the Entercom fold over there, since I no longer even reside in Tennessee – been in Connecticut since 2007, so I don’t keep up with Memphis radio like I used to. I will also echo your sentiments about FM 100. When Tom Prestigiacomo left for ‘KQK, I knew that was the end for WMC. Actually, we all knew the writing was on the wall when CBS announced they were selling the cluster. FM 100 was THE heritage station in the market, hands down. The only other station that could have even marginally laid claims to legendary status was WHBQ (AM). 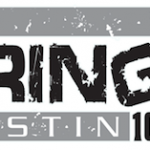 I had more fun doing weekends and fill in at FM 100 than perhaps any other station I ever worked at. They fell apart shortly after I left. Lance Ballance was the last PD at 100 before CBS sold the place and he was really great to work with.